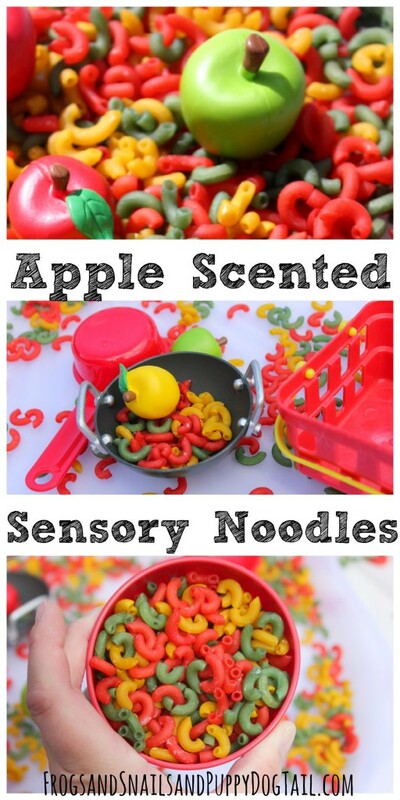 Recently I put together an Apple Scented Sensory Play post. 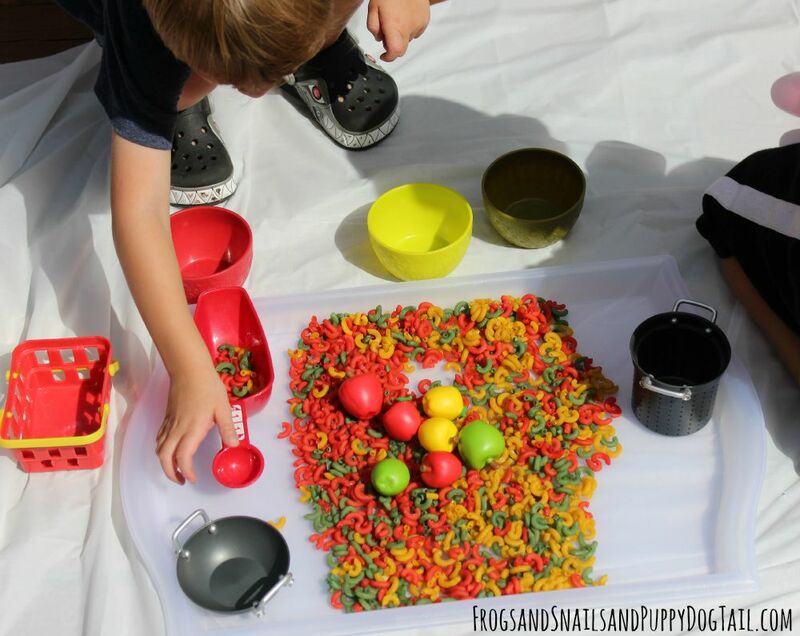 After looking at our own activities I was clueless for a moment what NEW sensory activity we could try this fall. 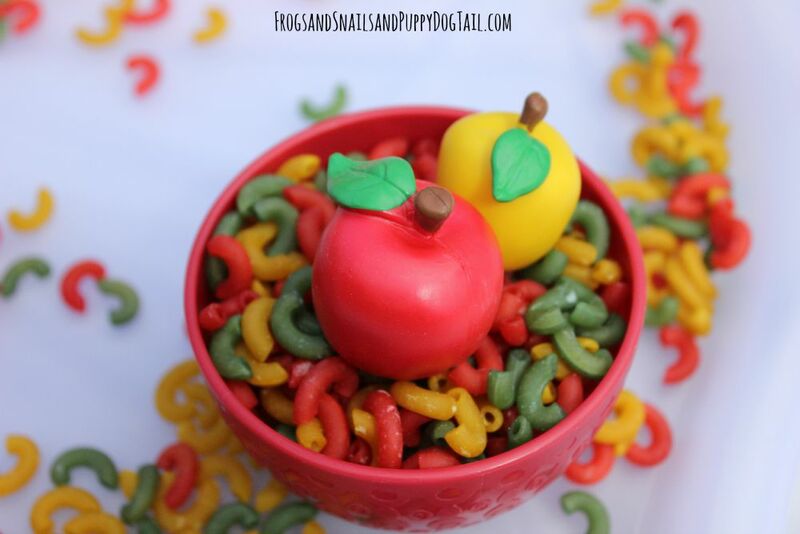 After a little thought, Apple Scented Noodles sounded perfect for playtime. This would be easy to make with stuff I already had on hand. 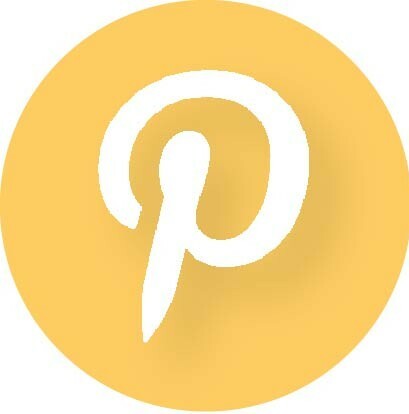 I was excited to see how this idea would turn out. 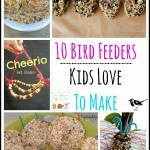 So glad the kids loved it. I took a bowl and added yellow gel food coloring. I filled the bowl with enough water that it would cover the pasta. I mixed the water and food coloring up. Now I added the dry pasta. I set a timer for 10 minutes. While I waited, I pulled a tray out and lined with paper towels. I also got out a strainer. When the timer went off I strained the noodles. The noodles were still hard. I did not want soft noodles but the dry pasta for playtime. I then spread the noodles out on the tray. I let them dry out overnight. Repeat these steps for red and green noodles too. 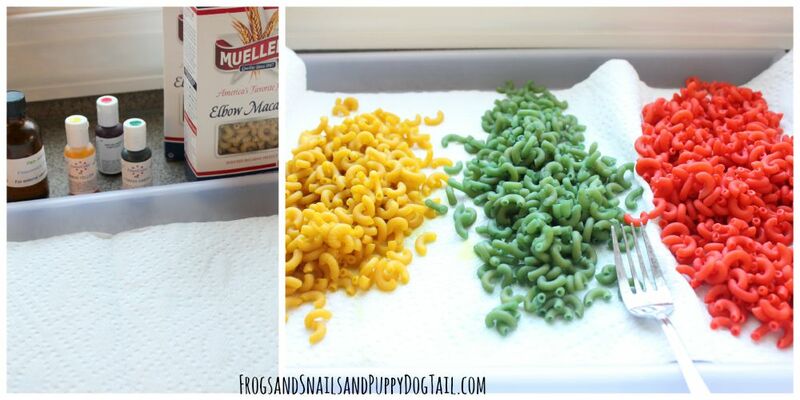 You can add the apple scent to the water when you dye the pasta or add a little once they are dry. I created a simple setup for the kids at playtime. 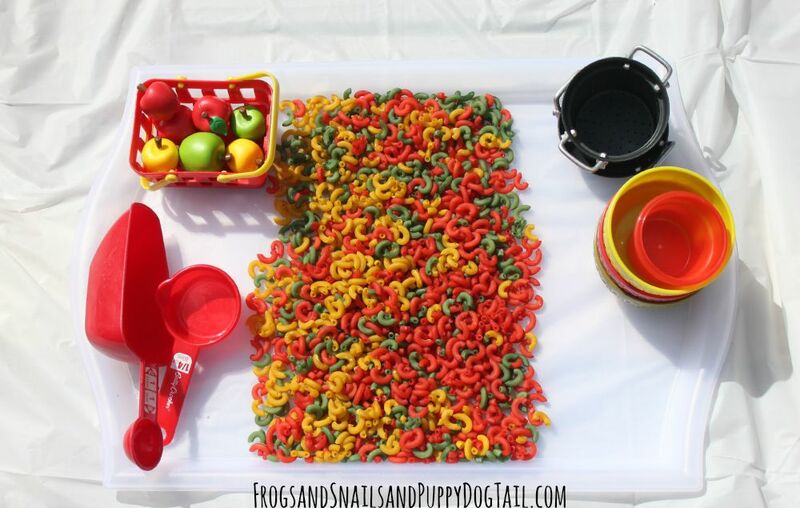 I took a tray and added the apple scented and colored pasta/noodles. I then added a few items from their play kitchen. 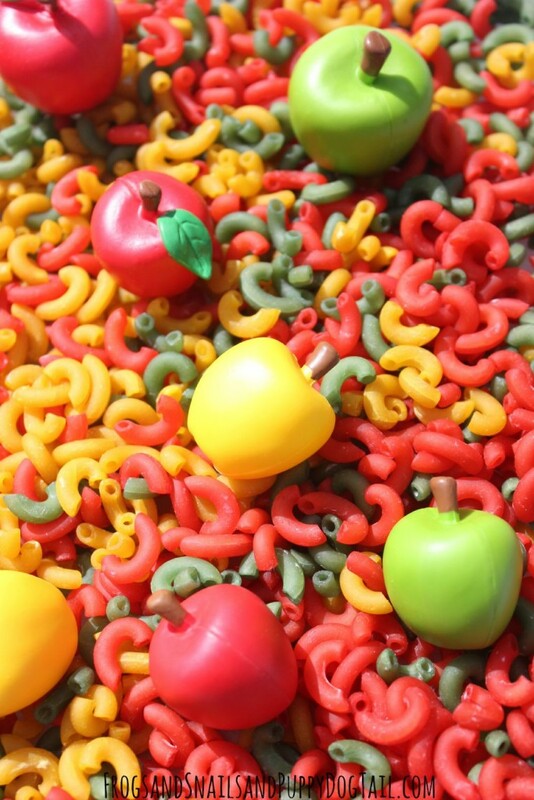 Learning Resources Attribute Apples came in handy to add to our sensory noodles. Now it was playtime. The kids had fun running the noodles through their hands. And the smell was a great way to explore scent during playtime. 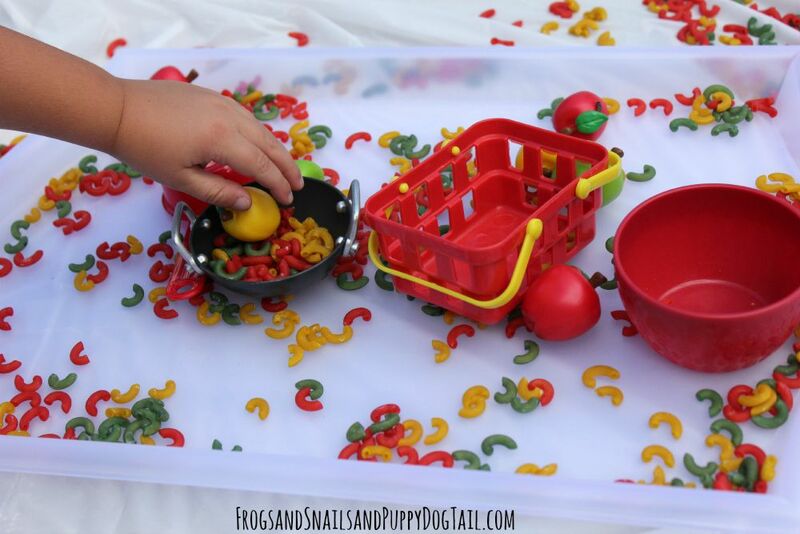 The kids scooped and poured the noodles/pasta creating many fun pretend dishes. 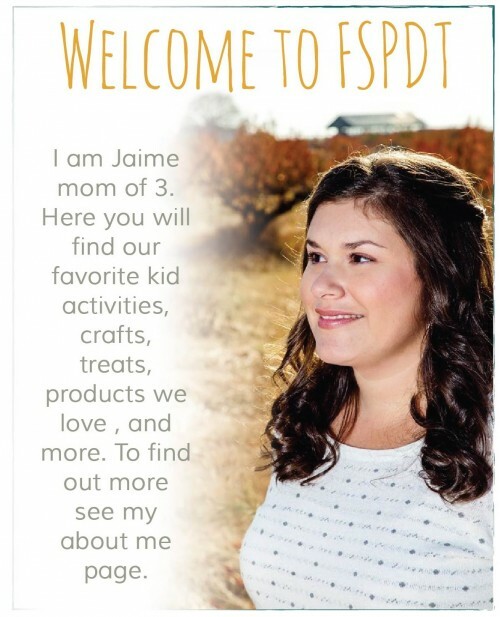 All in all I think it went over well with my kids. 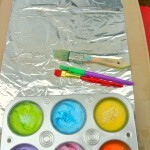 I loved it was easy to make and they loved exploring a fall themed sensory tray. Now what to make next fall.